Cryptocurrencies are similar to other trading assets and commodities in which their prices are determined by the laws of demand and supply - if people want to buy crypto, prices will increase; if people want to sell it, then prices will decrease. However, the cryptocurrency market is still in its infancy stages and face large market volatilities since its creation. These market volatilities are trading opportunities for beginners and professional investors to earn from the market. 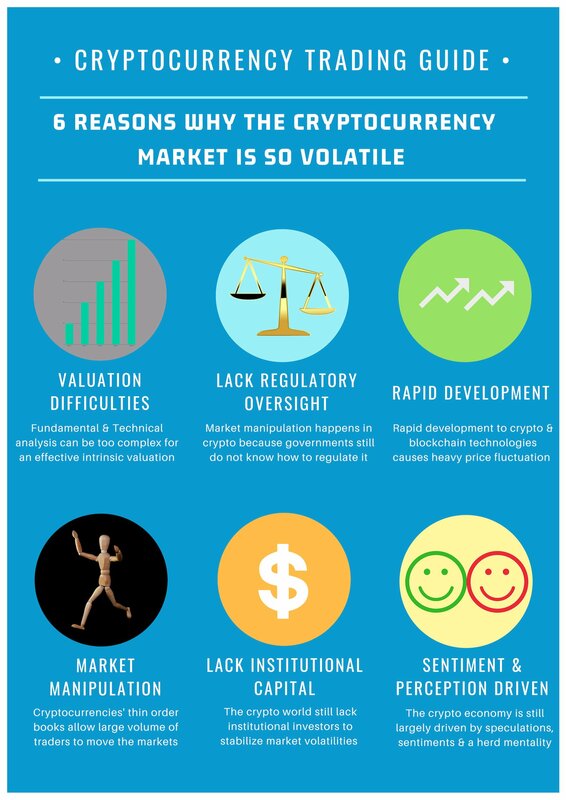 The analysis above highlights 6 key reasons why the cryptocurrency market is so volatile, with prices fluctuating daily. By understanding these reasons, you can learn to be a more effective trader. What are you waiting for? Start trading on Coinut Exchange. We have reliable cryptocurrencies like Bitcoin, Litecoin & Ethereum. And you can use Singapore Dollars (SGD), US Dollars (USD), Malaysian Ringgit (MYR) & Canadian Dollars (CAD) to trade cryptocurrency securely and conveniently.